Each 3 way section has 3 IN screw terminals, and 3 OUT terminals. 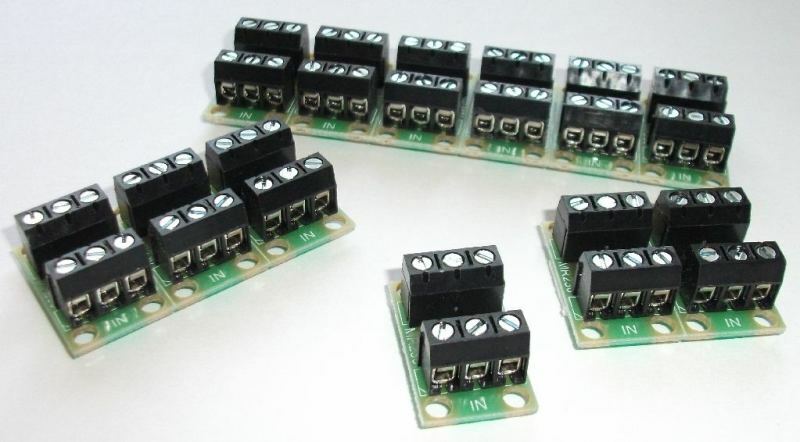 The terminals and the board are rated at 10 Amps, so will take wires from lighting circuits that draw very little current to points via a CDU which draw large amounts of current. They can be used as a bank of 18 ways or snapped off so you have a 3 way terminal for point motors or signals, and so on. Each 3 way section is only 18mm x 29.5mm and 15mm high.